UNMISS Child Protection Unit monitors and reports on six grave violations perpetrated against children in armed conflict -- recruiting and using children, sexual violence against children, killing and maiming children, abducting children, attacks on schools and hospitals, and denying humanitarian access to children in contravention of international law. 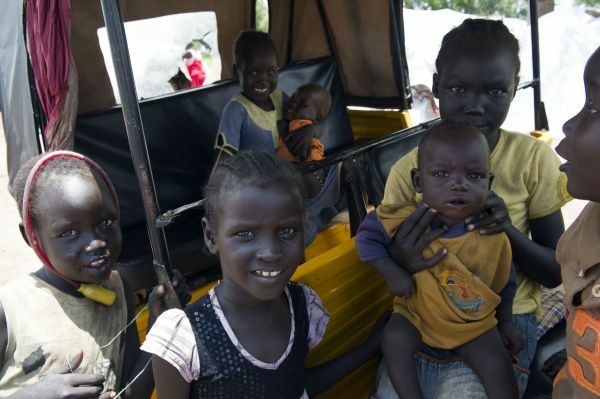 The effects of the long civil war continue to have an impact on South Sudan’s children. In the post-independence period, the country has also faced various political, humanitarian and development challenges, resulting in multiple protection risks for children, including the six grave violations. The UNMISS Child Protection Unit, working with the government, UNICEF and other partners, monitors and reports on these violations, and supports implementation of measures to address them. Mainstreaming child protection concerns across UNMISS in conjunction with various mission components (civilians, military, UN Police and corrections). Supported SPLA in developing child protection training modules, which will be incorporated into SPLA training curriculum. UNMISS Child Protection Unit has national and international staff as well as UN Volunteers deployed in seven of South Sudan’s 10 states as well as UNMISS Headquarters in Juba. Recruitment and deployment of staff is still pending in three states. Other child protection stakeholders, partners, NGOs, lobby groups, media and donors.